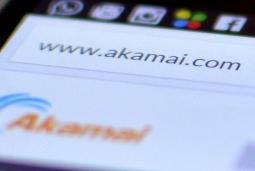 According to AKAMAI, India is the second country who is receiving slowest Internet in the world, Indonesia is in first to obtain slowest Internet in world. Indonesia broadband speed dropped 50% Q4 and confers 1.9 MBPS, which finding less than Indians. In compare with Indonesia, India Internet connection level is too better because in speed matter Indians increased well in front of Indonesia. India is growing in Broadband 2.1% average speed, Asia Pacific region wherein countries like South Korea with 22.2 MBPS speed, Hong Kong with 16.8 MBPS speed, and Japan with 15.2 MBPS speed; Indian performance is pretty dismal to say the least. Even countries like Vietnam (2.7 MBPS) and Thailand (7.1 MBPS), India is continue increase in Internet surfing.